Om: The tag access management plugin grants access for albums in which the user is tagged. You can tag with any program as long as piwigo recognizes the tags. After installing the plugin you only need to link the tag with a current piwigouser and press a button. Thats it! Works with albums and subalbums. It probably won't work at the moment with pictures in subsubfolders. This plugin is static so new pictures won't automaticly be applied. Om: Display location information on your web gallery with the only Open-Source worldwide map, created by people like you. Om: This is a fork of the piwigo-facetag plugin and adds a bit more functionality. The code base has been rewritten using an object literal class style and includes some new features. Please note that it is NOT COMPATIBLE WITH THE ORIGINAL. 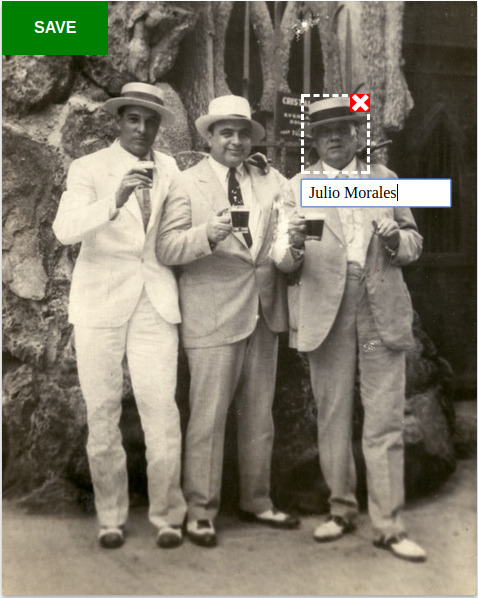 1) Group mapping; You can specify the groups allowed to tag faces. 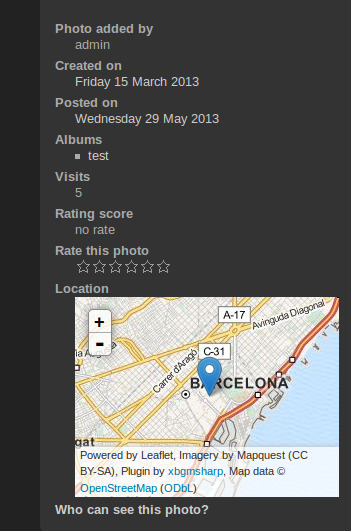 2) Support for deleting individual tags on an image. 3) Mass updates; No need to click the button for each tag. 4) Tag will resize/shift when new image size is selected. 5) Must be logged in to tag faces. 6) Does not require Jquery (scripts or styles) if you're into that. See github (https://github.com/cccraig/MugShot) for info about use and theme compatibility. Ændringer: Should fix issue noted by Jessy about custom database prefix. 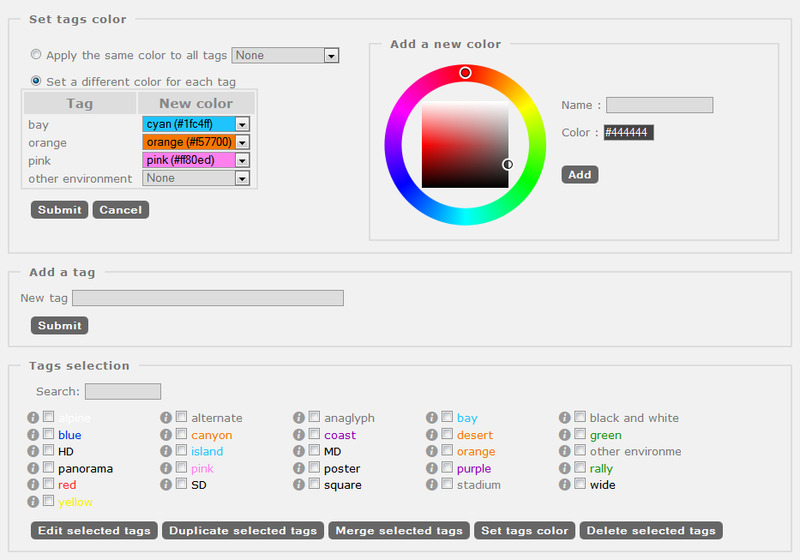 Om: This plugin allows you to set colors of Tags, without tag level link.